Did you know that there 5 different types of headaches? If you suffer from chronic headaches, do you know which kind you have? It can definitely be confusing. Let’s break them down individually. Tension headaches are the most common type. It feels like a constant tightness around the head, temples, back of the head and neck. 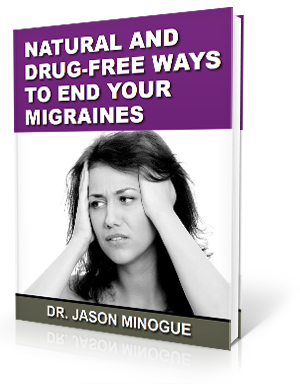 They are not as bad as migraines because they don’t usually cause nausea, vomiting or stop you from daily activities. Cluster headaches are chronic headaches that come in cycles. They pop up suddenly and hurt on one side of the head. A couple things that make this headache different is a watery eye or a runny or a congested nose on that same side of the headache. A nasal cavity in the head can become inflamed from an infection causing causing a sinus headache. People generally have an accompanied fever. Strange as it sounds, the overuse of painkillers for headaches can create a headache called a rebound headaches. Lastly, migraines are one-sided pain that are described as throbbing, slight to severe which can ruin someone’s day. People have nausea or vomiting, very sensitivity to light or sound and can last between 4 – 72 hours. 15% to 20% of people with migraines have auras which are flashing lights or other vision issues. Now did you know that upper cervical chiropractic care has been shown to be very effective to manage these headaches mentioned? The upper cervical vertebrae is located at the top of spine. The brain stem extends down into this area. Misalignments can cause nerve interference and have profound affect your the entire central nervous system. Headaches are common but are not normal. They are a sign of an underlying problem where upper cervical chiropractic care can help.